The International Day of Azerbaijani Mugham and Day of Music for countries situated along the ancient Silk Road were celebrated on August 26. Mugham, a unique musical and poetic phenomenon, was created based on historical and cultural traditions that have existed for centuries in Azerbaijan. It is one of the most valuable monuments of the material and spiritual culture of Azerbaijan and the greatest achievement of the musical and poetic art of the Azerbaijani people. This music developed and changed throughout the centuries, reflecting the stages of progress of Azerbaijan itself. Those who did not grow up listening to Mugham, first-time listeners often describe it evoking feelings of melancholy. Most of the Mugham compositions use minor scales, and all use unusual microtones, which lend themselves at first to impressions of Mugham as melancholic music. Famous French writer Alexander Dumas during his visit to Caucasus, attended a Mugham competition in Shamakhy (north Azerbaijan) and was greatly impressed by the music. The 20th century was a turning point for the traditional Azerbaijani art of Mugham. The noble Azerbaijani composer Uzeyir Hajibeyov created the Mugham opera 'Leyli and Majnun', based on a synthesis of Mugham and European classical music, hereby making the art of Mugham world-known. The next step in developing Mugham was made by the remarkable Azerbaijani composer, Gara Garayev, who created the Mugham symphony. The greatest role in promoting Mugham worldwide belongs to Azerbaijan's First Lady Mehriban Aliyeva. Over the years, Mugham has served as a source of inspiration for nearly all other types of music, including western music such as modern classical, jazz, blues, and rock. More and more, musicians composing in all types of styles and traditions are finding an inexhaustible source of inspiration in Mugham. 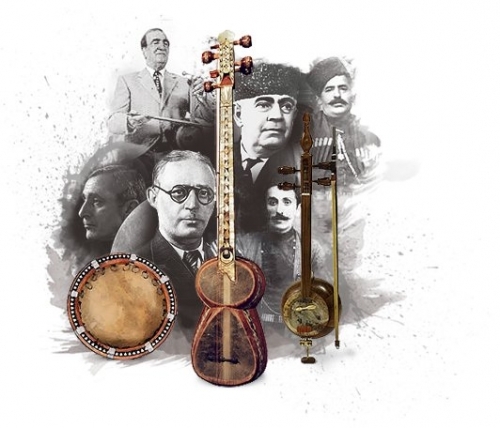 The artistic value of Azerbaijani Mugham and its high importance both for national culture and to the world community has been universally recognized at an international level. In 2003, UNESCO recognized the Azerbaijani Mugham as a masterpiece of the Oral and Intangible Heritage of Humanity.